As a nutritional consultant, I am often asked to provide a shopping list. To me, provide someone a shopping list is such a vague place to start. Without having been in their kitchen, it would be hard for me to know where to begin. For example, would I find fresh produce or only canned? Would there be whole grains to choose from or only refined? Would refined sugar be a common food additive in the house, or a different choice for sweetening? With so many variables, creating a base shopping list would surely miss something, or if I tried to include everything, it would certainly overwhelm. So, instead of sending my clients off with a shopping list, I give them a good meal plan, some brand recommendations and nutrition to help them identify how they can begin a path of healthier eating. For those who really want the list, however, I have created a compromise. Here is my list of top 10 kitchen essentials for a healthy kitchen. This list applies to those who live a gluten free lifestyle, but the principles carry over to healthy eating across the board. a. Breakfast: tear greens into your egg scramble and top with salsa. Wrap in a corn shell, or enjoy plain. b. Snack or on the go quick lunch: Add raw spinach or kale to a fruit smoothie! These greens taste delicious with a blend of banana, mango, and fresh squeezed lemon. If you are using a smoothie for your meal, add a bit of protein powder or nut butter to give balance to this quick food. c. Lunch or dinner: a large chef salad is a great way to get your vegetables in each day. You can vary the vegetables in a chef salad, and add 3 ounces of a lean protein such as egg, fish, turkey, or chicken. Nuts, seeds, or tofu are options for protein as well. Get yourself into the habit of eating a salad each day to help you on your way to achieving your vegetable serving goals. d. Side dish or snack: with any meal, or as a snack, wilted or steamed greens topped with hummus, olive oil and vinegar, or fresh squeezed lemon/lime will surely please the palate and add healthy nutrients to a dish. 2) Antioxidant Spices: I rave the use of spices in everything we eat to help us achieve or antioxidant goals each day. Some of my favorites to add to foods are: parsley, cilantro, chives, cinnamon, cocoa, turmeric, cumin, basil, and oregano. Adding a teaspoon to tablespoon of these dried spices, as your palate can tolerate, or eating them fresh, will help you on your way to boosting those antioxidants in your system. This will help your body in the fight against free radical damage, and cancer. 3) Colorful fruits and vegetables: again, to work toward that goal of receiving nutrients and antioxidants through foods, it will require eating a variety of colorful foods each day. We all know that eating a variety of fruits and vegetables each day will help prevent cancer as well as increase health in a variety of ways. Almost any study on health will focus on increase of fruits and vegetables. Look to add fresh fruit as a snack, unsweetened dried fruit, berries for their high antioxidant load, brightly colored peppers and other vegetables. Each time you walk through a produce area, try something new! And even though they aren’t very colorful, let’s not forget mushrooms for their immune enhancing effects. 4) Fiber: This is a hot topic for almost all of my clients. It seems most of us do not get our daily recommended amount of fiber, and so many people suffer the effects! Fiber is nature’s broom, pushing the toxins out of your system and keeping your GI tract healthy and functioning. Without fiber in the diet, constipation and the release of toxins back into the body can occur. By eating complex carbohydrates, fruits and vegetables, you will be getting fiber each day, but to boost fiber, try sprinkling a tablespoon of milled flax seed, milled chia seed, wheat germ, or coconut flour into a portion of a main meal or smoothie. Sprinkle a tablespoon of milled flax seed over a bowl of hot buckwheat cereal or oatmeal in the morning, just before serving. 5) Complex carbohydrates. This is a big one, in terms of importance. I can’t think of any health benefit of refined carbohydrates. 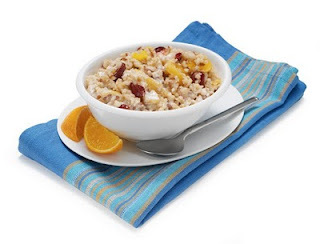 When carbohydrates are refined, the fiber and nutrients from the germ/bran are removed. What is left is nutritionally void compared to the whole grain counterpart. Additionally, refined carbohydrates coupled with refined sugars (and minimal sugar) create havoc on our blood sugar regulation, and over time, can create stress to the insulin response mechanism that keeps our insulin regulation working to serve us. With the increase in problems such as diabetes, adrenal fatigue, insulin resistance, obesity, and more, it is a wonder to me that so many people still rely on refined carbohydrates for their daily food staples. Instead, look for healthy whole grain choices such as quinoa, millet, brown rice, buckwheat, whole wheat (if you are not eating gluten free), oatmeal and more. When purchasing whole grain breads or mixes, look for breads that are high in fiber and protein and low in sugar. French Meadow Bakery is a good place to use as comparison for how high of fiber and protein you can find compared to low sugar, for their hemp based breads and bagels (not gluten free). For the gluten free side, most premade items will not be as high in comparison, but some products do fare better than others such as Breads From Anna mixes and French Meadow’s whole grain gluten free bread. It is important for those on gluten free diets to make sure they get good fiber intake from their other whole grain sources, such as hot cereals, skins of fruits and vegetables, and added fiber boosters mentioned above. 6) Beans: According to Michael Murray ND, author of The Encyclopedia of Healing Foods, we reduce our risk of many types of cancer by a dramatic amount by simply adding common beans to our regular food routine. Eating beans 4 times a week, or more can add a significant amount of fiber and protein through complex carbohydrate as well as an increase in minerals such as magnesium and molybdenum. When you eat beans with brown rice, you create a complete protein, which can be used in place of meat as a protein during meal time. Beside the high fiber and protein aspect of beans, we benefit from adding these complex carbohydrates to our diet for their low fat! Don’t forget bean flours. Bean flours can boost common gluten free baking by adding texture benefits, which are often lacking, in gluten free baked goods. Lentil flour, Urad, can be used in a variety of flat breads, as can a variety of bean flours be used for most baked goods. In addition, beans can be used to make different variations on traditional hummus for a quick snack, dip or spread. 7) Quality Meat: We Americans have chosen to eat in such a way that our Omega 6 to Omega 3 ratio is very far out of balance. According to Ed Bauman, of Bauman College CA, the American ratio of Omega 6 to Omega 3 is closer to 20:1 then the preferred 4:1 ratio we aim for. By choosing pasture raised lean beef, lamb, or bison, and wild salmon, chunk light tuna, and lean meats such as natural chickens and turkeys that are raised outdoors, we can increase our omega 3 ratio, nicely. Besides the Omega 3 benefit, we also find these choices to be leaner and healthier meats. We use a whole, natural, chicken to create several family meals, as the bones can be used to create a healing bone building broth. This broth is another staple in our house, and one I recommend to anyone struggling with Intestinal distress. Most of our meat sources come from local farmers who take pride in caring for their animals, their land, and the people within their community whom they serve. www.eatwild.com is a good source for finding a farmer near you. 8) Water: Of course this is important! We all know we should be drinking our 8 glasses of water a day, right? Yet how many of us fall short? Carrying a clean, reusable bottle of water with us each day is a good way to make sure we don’t forget to drink! If you find yourself bored of drinking plain water, consider adding fresh squeezed lemon juice or lemon juice and stevia to make a healthy lemonade. Herbal teas or green teas can be added to water, as can small amounts of fresh juice to liven up a glass. It will be essential to drink plenty of water when increasing the fiber in your diet. If you eat a high amount of fiber, but you don’t drink your liquids, you can end up with a blockage, which could be very uncomfortable, if not even dangerous. Stay hydrated! 9) Healthy Oils: For high heats, I recommend coconut oil, avocado oil, ghee, butter, palm shortening, and walnut oil. For medium to low heat, olive oil, or the above listed oils. For strictly low heat or for serving without heat, hemp or extra virgin olive oil are nice choices. Store oils in dark area and look for oils in dark jars, as light exposure leads to oxidation of the oil. If you are confused about which temperature to use for an oil, the spectrum brand can be helpful in identifying temperatures per oil, as the smoke points are listed on their bottles. These oils can be found in the health markets, or health market section of larger grocery stores. 10) Healthy Sweets: We eat too much sugar on the standard American diet. Far too much. Instead of consuming these sugars that are linked with increase in diabetes, obesity, adrenal fatigue, and a host of other illnesses, let’s look to use natural sweeteners. What I advise is having fresh fruit, fruit sauce/butter, and unsweetened dried fruit on hand. 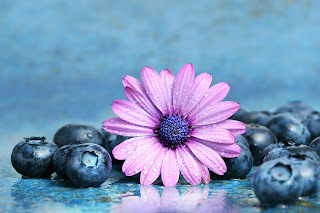 Make desserts based on healthy ingredients, such as a blueberry crisp made with stevia and a bit of pure maple syrup to sweeten, and topped with ground nuts and oats. 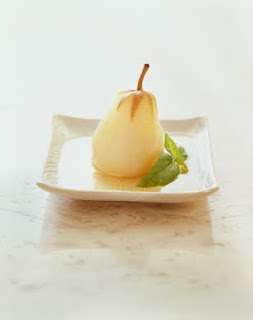 Baked apples and pears are delightful for cooler months, and frozen fruit pops and sorbets are treat in warmer months. Stevia is a favorite natural sweetener in our house, which we use to cut back the quantity of honey we would use in a recipe. If a baking recipe called for 1 cup of sugar, I may opt to use ¼ - ½ cup of honey and ¼ - ½ teaspoon of stevia instead. If you really need the texture of sugar for a baked good, I recommend using Lakanto, a 0 glycemic index natural sweetener. Also, when given the option, I would choose honey, pure maple syrup, dates, date sugar, brown rice syrup, and blackstrap molasses over white or brown sugar. With all sweets, they should be used sparingly. Dessert is for special occasions and should not be expected after each meal. A piece of fruit, however, can be enjoyed much more frequently! There is no order of preference here, as these top 10 are just base essentials for healthy eating, in our home. I hope they help you as you evaluate your kitchen and look for those healthy boosters and reduce those health offenders in your kitchen and in your life. Enjoy!